The internet is a fascinating place. It is filled with tons of open-source and free software developed by developers all over the globe. Yet, sometimes it is surprisingly hard to find the download links for these free software. It is a frustrating task to find a safe and genuine source to download these free software from. Most of the free software download sites on the world wide web are filled with malware masquerading as ads. You need to be fairly cautious before you go to any free software download website. Visit the wrong one and you will be putting an ax on your own foot. 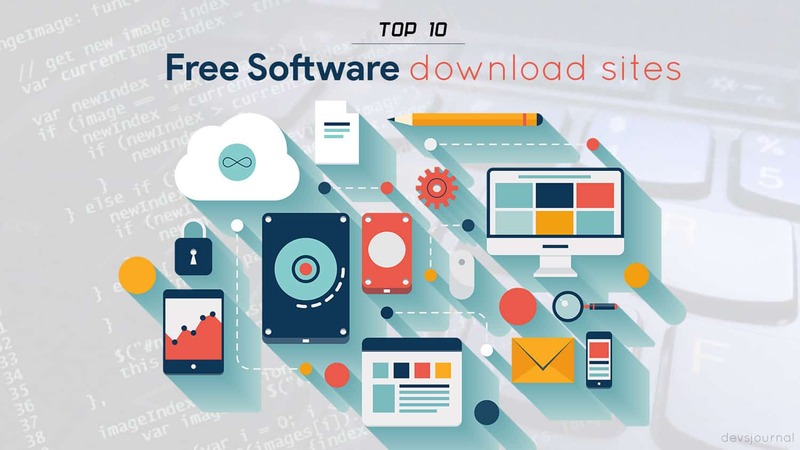 In this article, I have listed top 10 websites to download free software. These websites are genuine and safe to use unlike torrent sites. And on top of that, they offer quite a great deal of free software. FileHippo is a one-stop destination for all your software needs. It houses all open-source software including freeware and even shareware. The website has a sleek and clean user-interface. You can find different categories on the homepage. You can explore these categories and find the perfect software for your needs. The website currently offers more than 20,000 free software, which are available to download a click away. FileHippo currently offers free software for Windows and Mac platform. When you select the free software you want to download, it provides you with a list of all the previous and outdated version of the software. If by chance, you need an outdated version of a software, FileHippo is the place to search for it. FileHippo also has an Update Checker program which scans your system for installed software and searches for its latest version/update. This makes sure that your system runs on latest updated software. 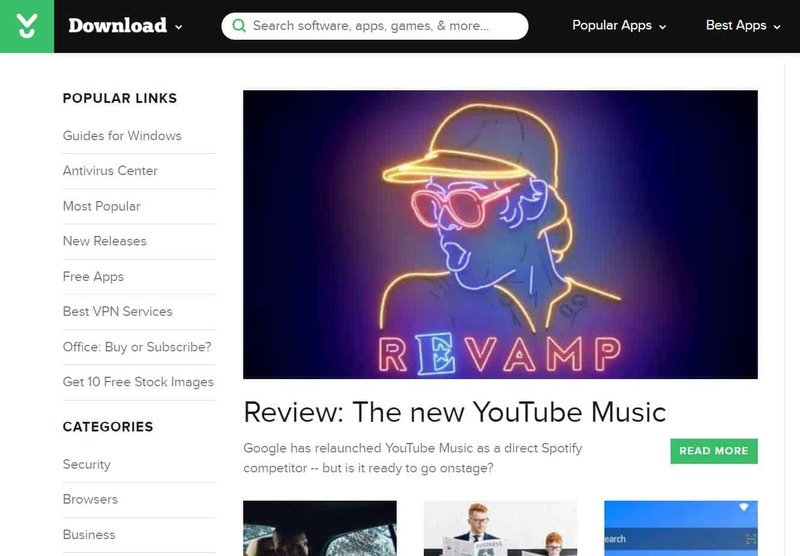 You can also find software reviews on the FileHippo website. Softonic was launched in 1997 and it is probably one of the oldest free software download website. Softonic is one of the most popular websites for downloading free software. It has a clean and responsive theme which allows you to navigate through different categories and software easily. There are a plethora of categories available on the website. You can explore hundreds of software at the click of a button. The website also offers you an option to download your desired free software from a mirror. The mirror links are listed on the download page. Mirror links are helpful when the original download link does not work due to some reason. Softonic now has a popular blog which serves latest updates on technology. You can find updates related to Android, iOS, Windows and social networking websites. The site not only offers free software, but it also offers free apps and games. It also has a Question and Answer forum where you can ask your queries/questions related to any software. CNET is one of the biggest and largest internet directory for free software downloads. It offers more than 100,000 free software, apps, and games. The website currently offers software and apps for the major platforms, i.e., Windows, Mac, iOS, and Android. The software are further categorized as Most Popular, New Releases and Free Apps. The software is usually reviewed by the editors and the review contains a short brief of the software including its pros and cons. Even you can write a review on the website, you just need to register on the website and you can start reviewing and rating products. The website also features articles and guides related to technology. You can check them out to keep yourself updated with the latest news and information. Sourceforge is an open-source software platform which hosts more than 450,000 open-source projects. It has a clean design and an attractive theme. Detailed reviews and ratings are provided by the editors for every software. One can find all kinds of free software here. Most people use SourceForge to develop and publish open source software. However, some also use it to download and review open source software. If you are a developer, you can use SourceForge to look at the actual code of the software. Before a software is listed on the website, its quality is assured through multiple checks. The website ensures that all programs are safe to download free from malware and virus. The website also has a user community forum where you can ask any query regarding software or your system. Sourceforge is beneficial for those who are looking to become software developers. Using SourceForge, you can easily take a look at the code of the software you are interested in. Softpedia is another popular website which allows you to download free software on the internet. Along with the download link, you can also find a detailed review of the software. Softpedia was launched in 2001 and it currently hosts over 850,000 files in its database. A decent number of these software are updated on a regular basis to provide you with the latest malware-free version. On Softpedia you can find free software for Windows, Mac, Android, Linux and web browsers. It also has PC games and mobile games which can be downloaded easily. There is also an external mirror available to download these software in case the original download is not working. The site overall pretty safe to use and it is a credible and secure option to download free software. MajorGeeks is another popular website to download free software and shareware. There are different categories and sections on the homepage. You can explore the categories for a specific type of software or you can check out the different sections which feature the top downloads, top reads, and latest files. The website hosts all kinds of high-rated programs which you might find handy someday. There is also an updater which scans your system and looks for the latest updated version of the software installed on your system. If you have any queries or questions regarding the software, you can ask it on the MajorGeeks forum. The forum has more than 250,000 registered members. FilePuma is a great website to download free software. The website has a clean and minimalistic look. It also has a plethora of categories which you cannot find in any of the other websites. The theme and the categorization make it very easy to browse and explore the website. The software which are listed on the website have a short brief were the major features and the functions are mentioned. There is also an Updater program which you can use to update the software installed on your system. The updater program is fairly small in size and works flawlessly on Windows platform. There is also a news section on the website where you can find tutorials and latest news about technology. If you are looking to explore, you can scroll through the Popular software and Latest updates section on the homepage. If you are tired of reading those long reviews, you can check out Download Crew which has a short and informative review that gives a short explanation of what the software does. The website has a huge number of categories pinned on the homepage. You can find free software for Windows, Mac, Linux, iPhone, and Android on the website. The homepage also hosts a section which displays featured downloads. If you want to rate a software and review it, you need to sign-up for an account. Once you create an account you can rate and review your desired software. Also, don’t forget to check out the Most Popular Downloads section, you will find plenty of useful software there. Brothersoft is one of the most visited websites on the Internet. It is fairly popular because of the vivid variety of software it offers. One can find free software to download which include widgets, utilities, drivers, browsers, mobile applications and video games. It also offers mirror download links in case the original download link is not working. One can explore free software for various different platforms like Windows, Mac, Android, and iOS on the website. It also has its own app store which you can download from the website. Brothersoft is a great website to download free software, however, when you are downloading software which are big in size, you need to download and use the Brothersoft Downloader. What is Service Host process (svchost.exe) and why is it running so many times?